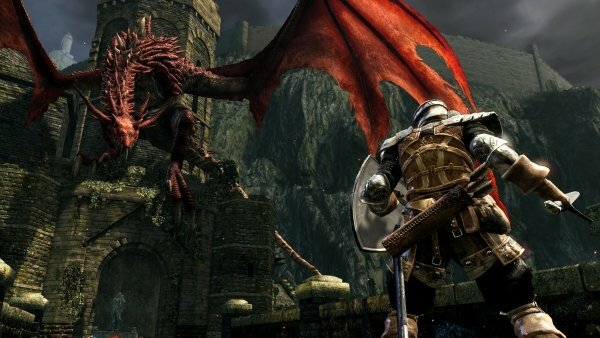 Dark Souls Remastered will be touching down on Switch a lot sooner than you thought: this weekend, in fact, which will let you give the game a go ahead of its release with a network test. Beginning Friday, September 21 from 5:00 to 9:00 PM PT every day through Sunday, September 23, players can download the test application and play the game for the duration of the testing period. The application is available via the Nintendo eShop today and can be added to your system to ready you for this weekend's service period. It will take place in the Undead Parish and will allow players to test out single player and multiplayer modes until the full game finally launches on October 19. You'll need to have a subscription to Nintendo Switch Online if you want to take part in the network test, though save data from the test will not carry over to the full game, so keep that in mind when adventuring through the game. If you haven't signed up for the Nintendo Switch Online subscription, it's a steal at $19.99 a year, but even cheaper for eight folks to join with the family plan at $34.99, which may be a more viable option for you. Get ready to praise the sun, multiplayer-style!